A Findlay man was arrested after allegedly attempting to stab a police officer with a knife Tuesday afternoon, according to Tiffin Police Department. Vincent Fedele, 34, was charged with felonious assault, a first-degree felony; and resisting arrest, a fourth-degree felony, after an incident about 4:40 p.m., according to Tiffin Police Department. He was being held without bond at Seneca County Jail. Fedele had four warrants through Seneca and Hancock counties and Elyria and Toledo police departments. Detective Lt. Mark Marquis said Fedele was observed as a passenger in a vehicle on Perry Street. The car stopped at the pharmacy at Rite Aid, 530 W. Market St., and officers approached to arrest Fedele, he said. “Fedele pulled a knife,” he said. The knife measured 6 1/2 inches long and had a 3-inch blade, according to the police department. Marquis said Fedele extended the knife toward Officer Justin Nowak, one of the officers who approached the vehicle. 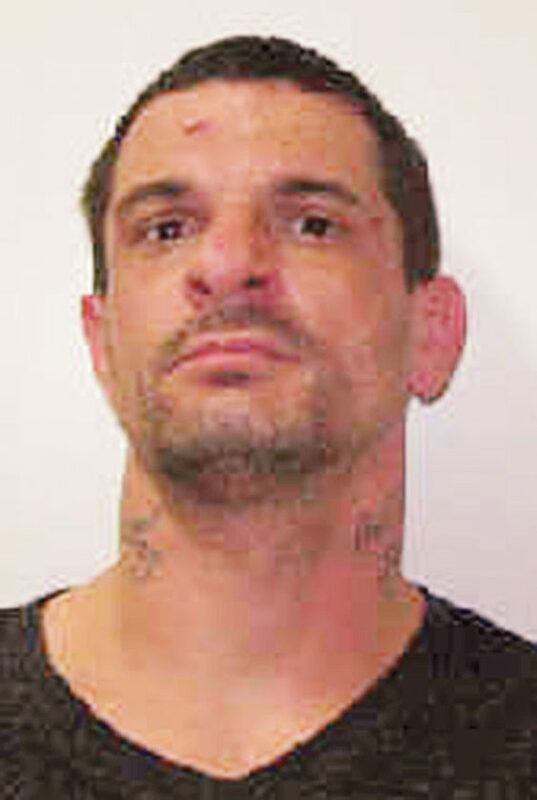 A police department release states Fedele pushed the knife into an officer’s vest, but his stabbing attempt was unsuccessful. Officers had abrasions and bruising, and Nowak was treated at Mercy Health – Tiffin Hospital’s emergency room for an injury to his knee, according to the police department. Fedele was shot with a Taser twice, and officers suspected he was under the influence of a narcotic, according to the police department. He was checked by Tiffin Fire Rescue Division and was cleared to go to Seneca County Jail.